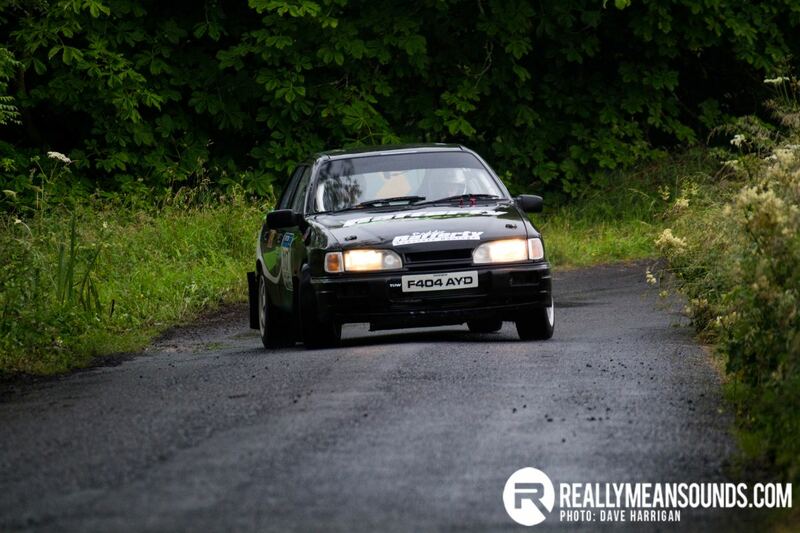 Last Saturday, bright, blue skies and summer sun shone on Sligo as the competitors completed their recce for the 2017 FAAC Simply automatic/Sligo Park Hotel Rally, but there was a stark contrast in weather conditions as the crews lined up to tackle the opening stage on Sunday morning. 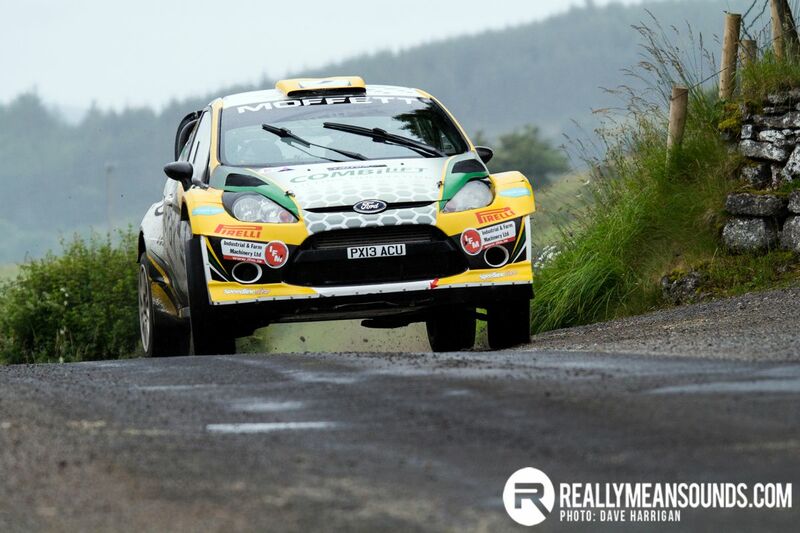 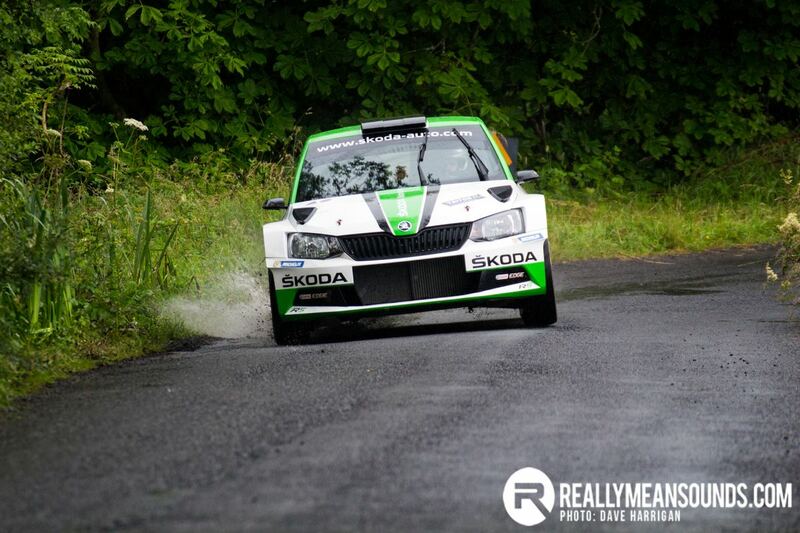 The lovely summer sunshine had been replaced with damp drizzly (typical Irish summer) conditions, which soaked the shiny tarmac roads south of Sligo Town and washed debris and mud onto the stages. In very tricky conditions for all the competing crews, Monaghan’s Sam Moffett splashed his way through the stages to take the rally win. 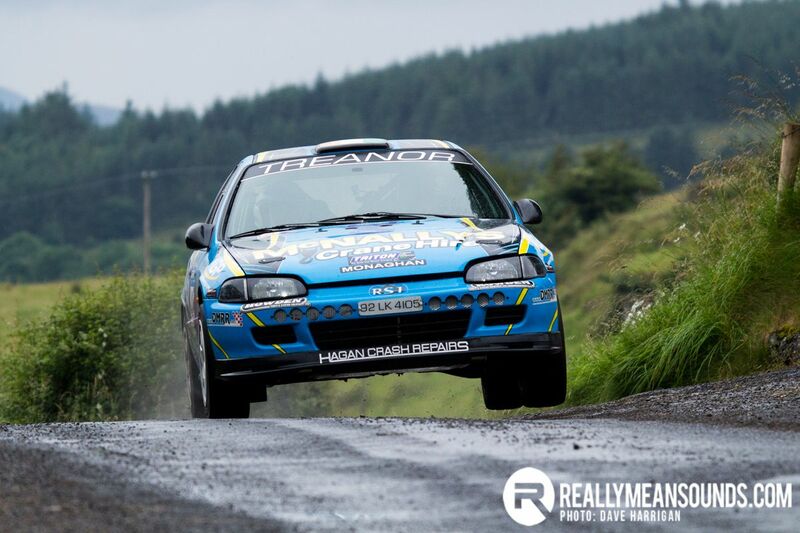 It was former Billy Coleman Award winner Sam Moffett’s sixth victory in as many National Rally events, securing victory in the rally and also sealing the Vard Memorial Trophy as the winner of the Triton Showers National Rally Championship. 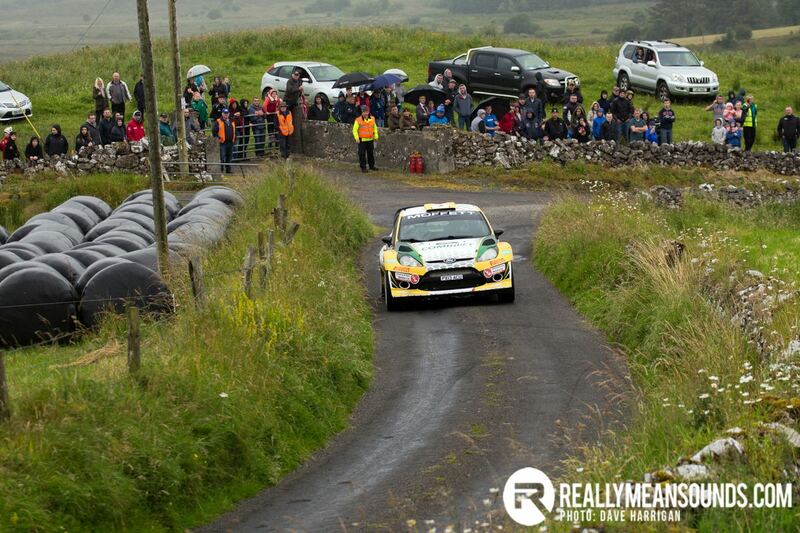 As the crews embarked towards the first service, the roads were dry with a threat of rain and hard slicks were the tyre of choice for many of the teams, however by the time the cars were on the line at the opening stage, the sky had opened and the tarmac before the drivers was damp and the grip levels varied. 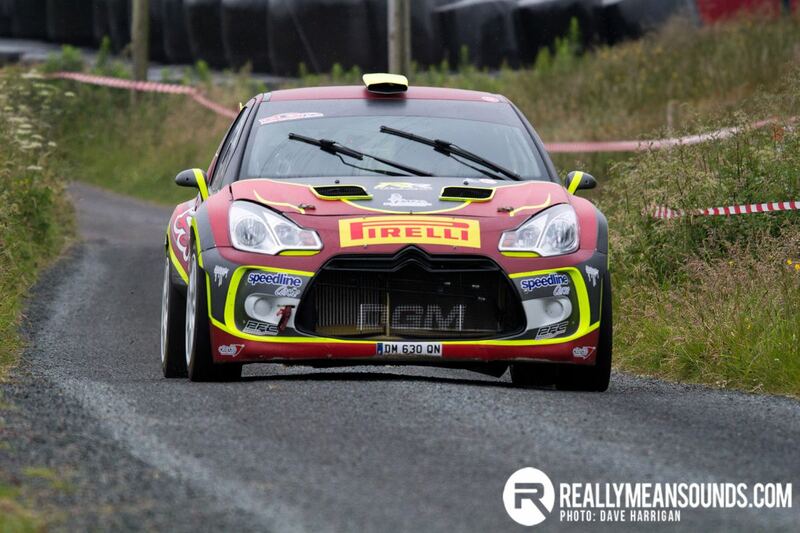 Sam Moffett started the day in style, completing the opening stage 3.7 seconds faster than anyone to lead the rally after SS1. However, the similar Ford Fiesta WRC of Declan Boyle, who has won the Triton Showers National Rally Championship twice previously, was to strike back on stages two and three, with Declan and cousin Brian completing the opening loop 9.4 seconds faster than anyone else, to lead after 3 stages. 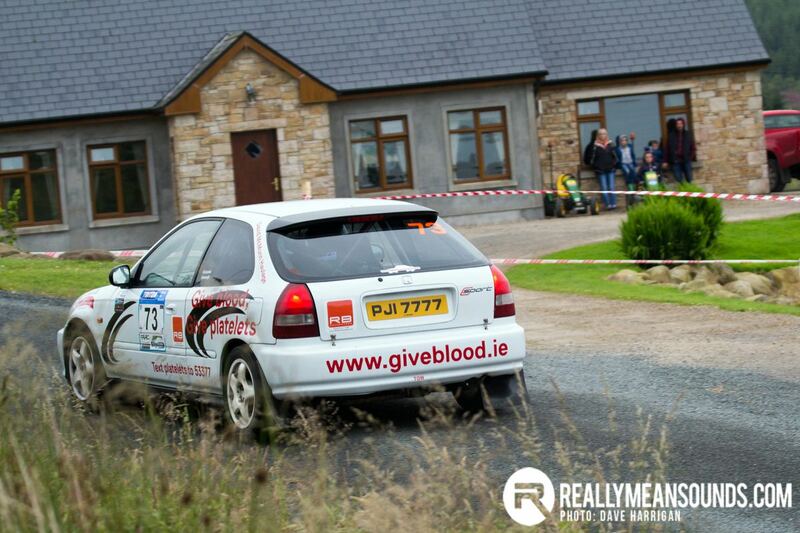 Sam Moffett finished the first loop of stages in second place while younger brother Josh completed the loop in third. 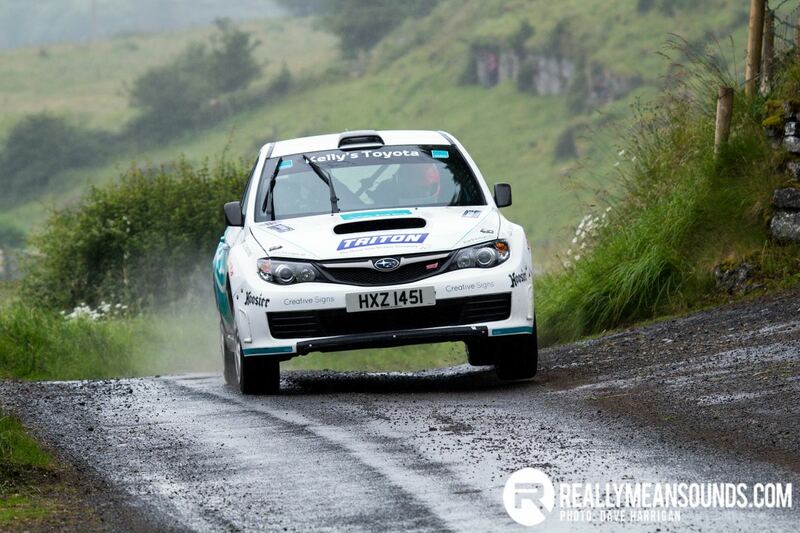 As the morning drizzle got ever heavier as the day went on, the second loop of three stages brought challenging, muddy and wet conditions, with many drivers being caught out on the gravel and mud that had been dragged onto the stages during the first pass through. 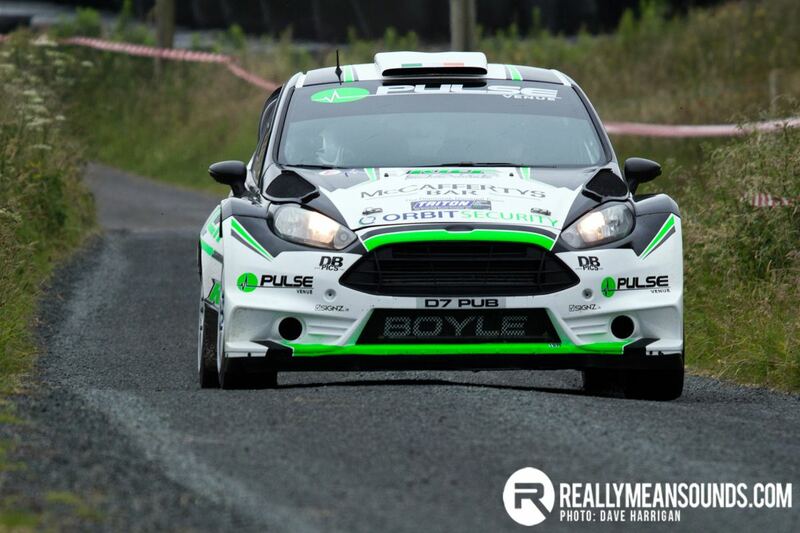 Sam Moffett again started the loop well, taking fastest time on the opening test by 3 seconds from Boyle, but Declan struck back on stage five and was 3 seconds faster than Moffett. 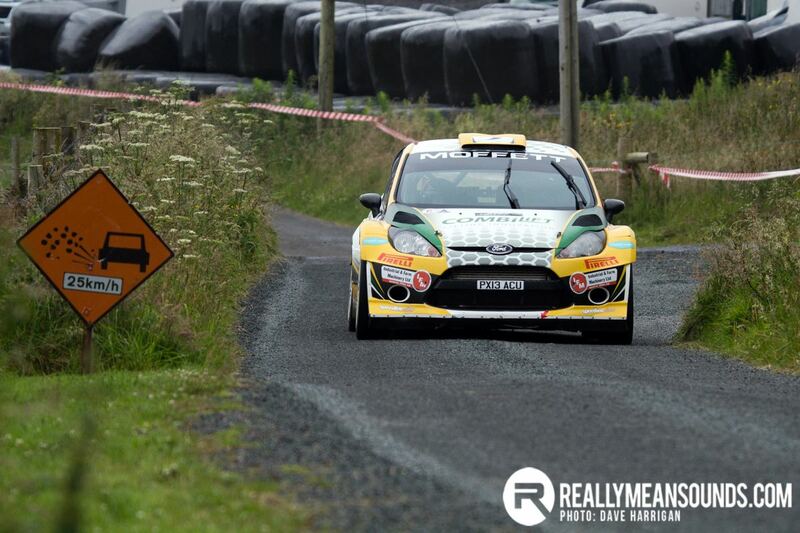 Stage 5 saw the end of Josh Moffett’s challenge for the lead when the Monaghan man dropped nearly 2 minutes in the stage to drop him to 10th overall. 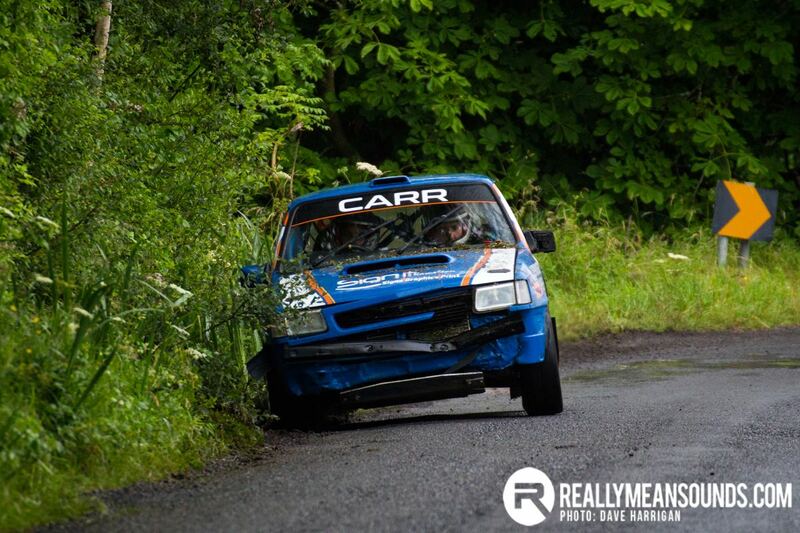 There was more drama to come, however, as the brave fans who were lining the ditches, were robbed of a fascinating battle for the lead of the rally on stage 6 when Declan Boyle picked up a puncture in his Ford Focus. 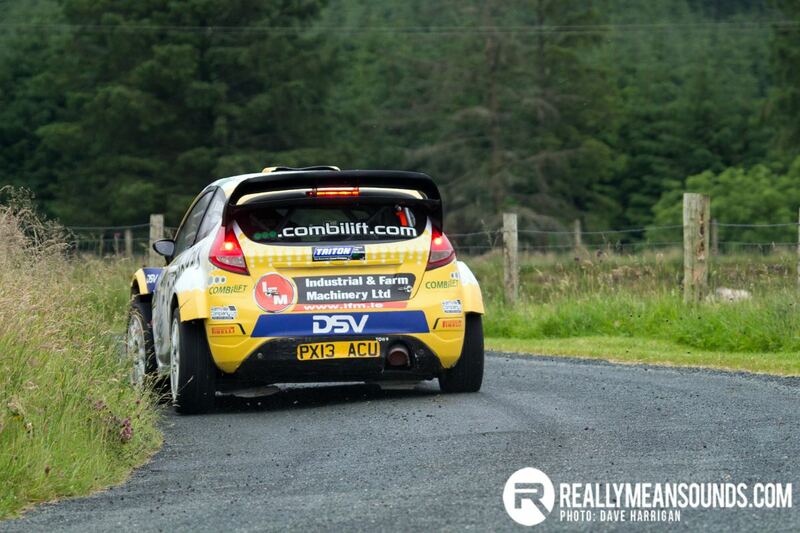 Boyle retired from the lead of the rally and his demise promoted Sam Moffett to first at the end of the second loop. 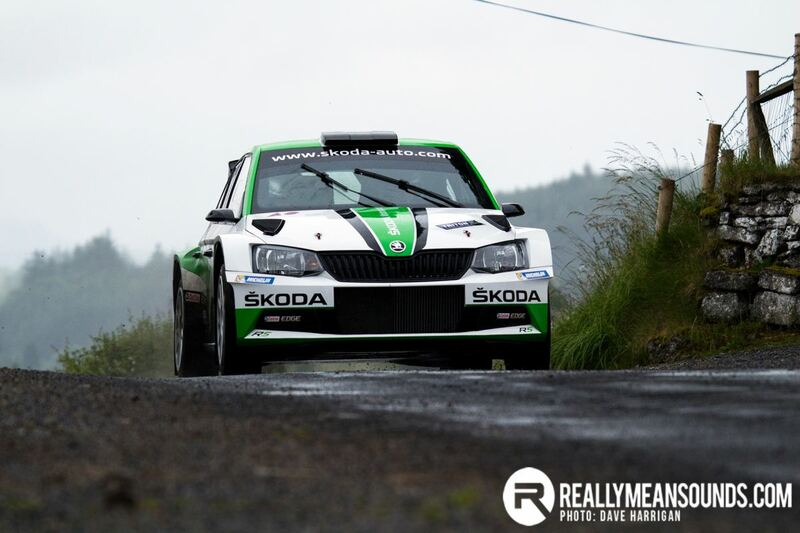 The shake-up at the top during this loop of stages changed the top 3 considerably, with Sam Moffett now comfortably leading followed by Derry native Desi Henry, who was over 1 minute back in his R5 Skoda Fabia. 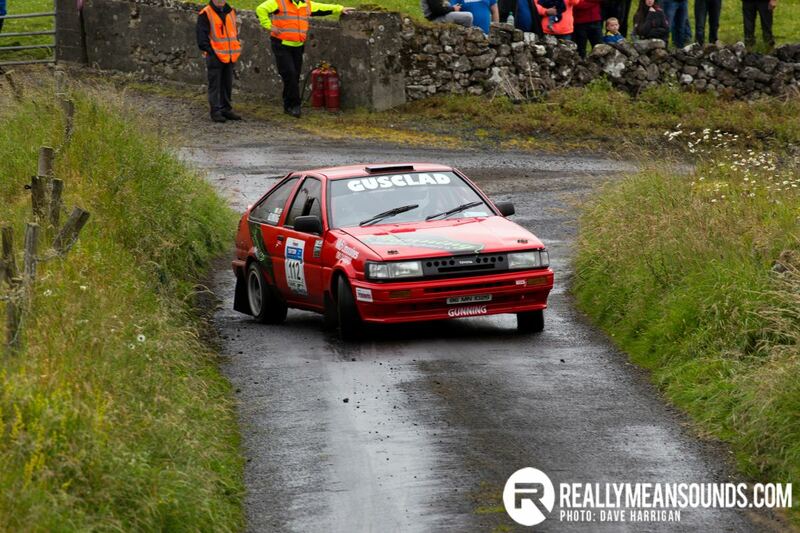 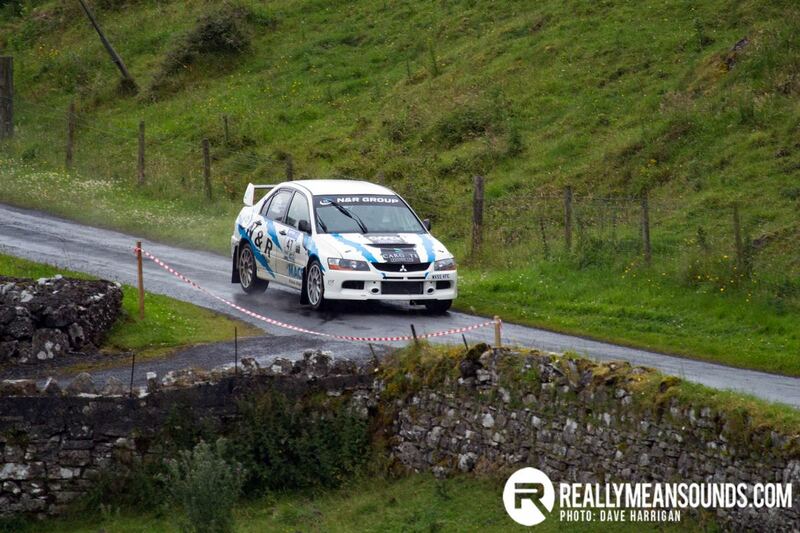 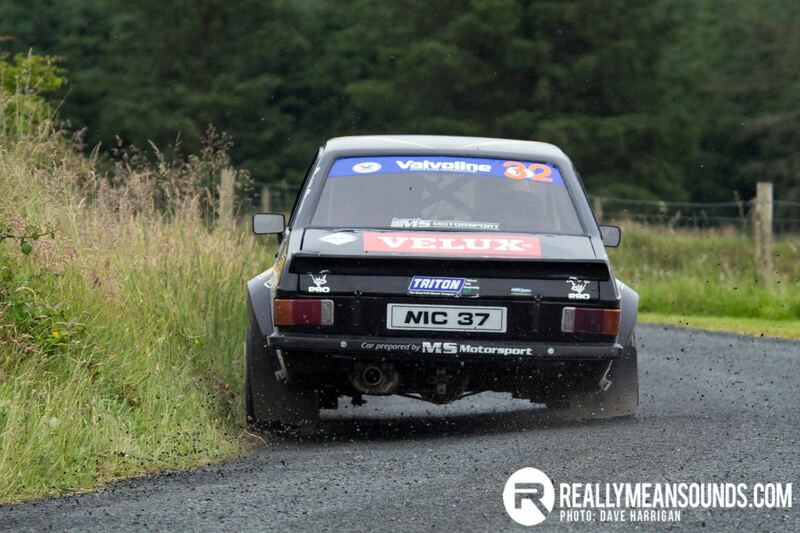 Desi and co-driver Liam Moynihan were locked in a battle with Niall Maguire and Enda Sherry who were third. 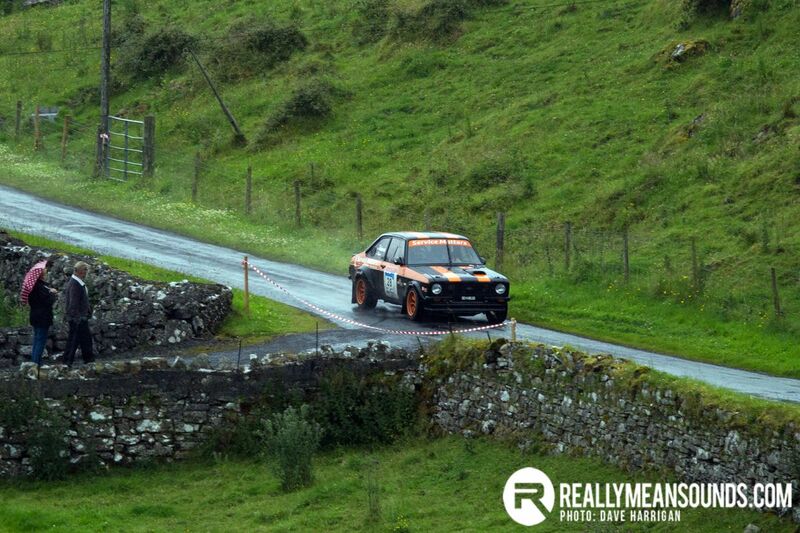 On the final loop of stages, the rain became incessant. 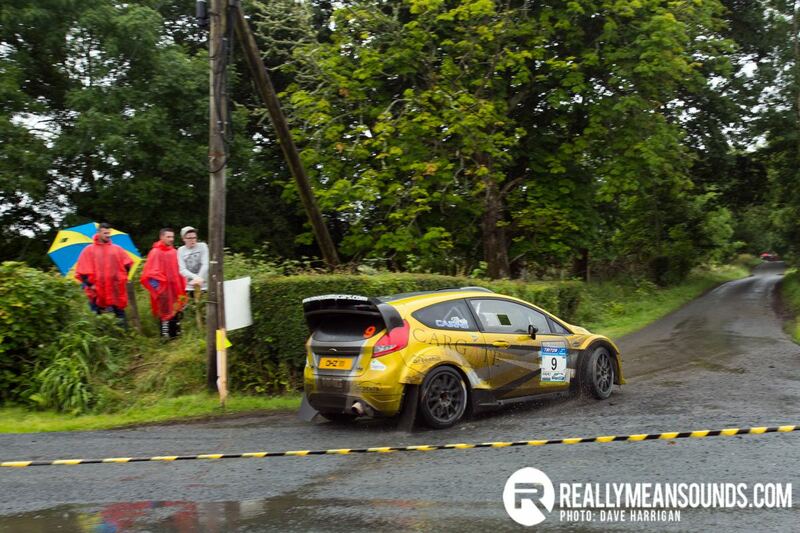 The stages were treacherous, with standing water, gravel, mud and shiny tar to be negotiated. 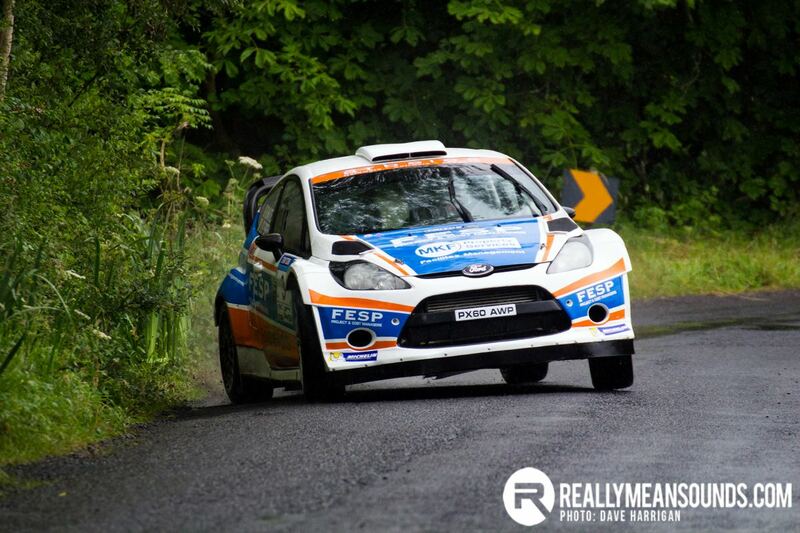 As Sam Moffett blasted into the first stage of the loop, it was clear that the Monaghan man decided to stay on the pace to stay in the zone despite leading by over a minute. 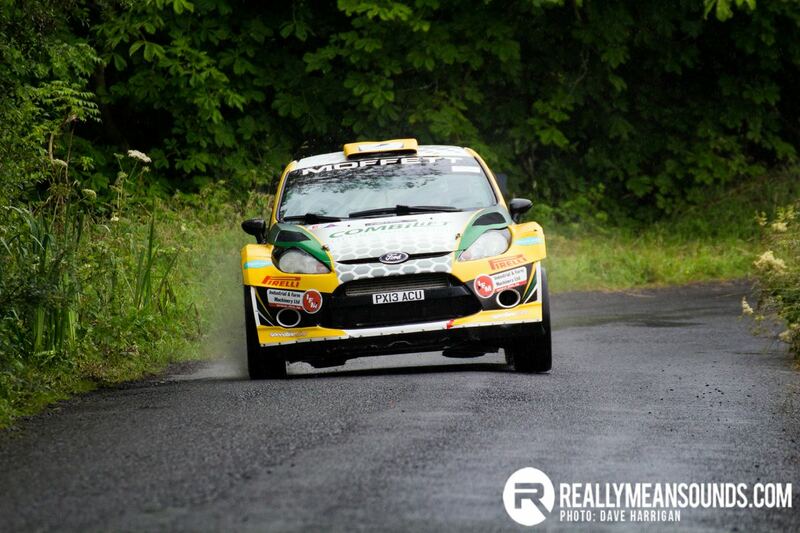 As the Fiesta slithered and scrabbled for grip on the wet roads the crew were in total command and extended their lead over the final loop to return to Sligo as rally winners. 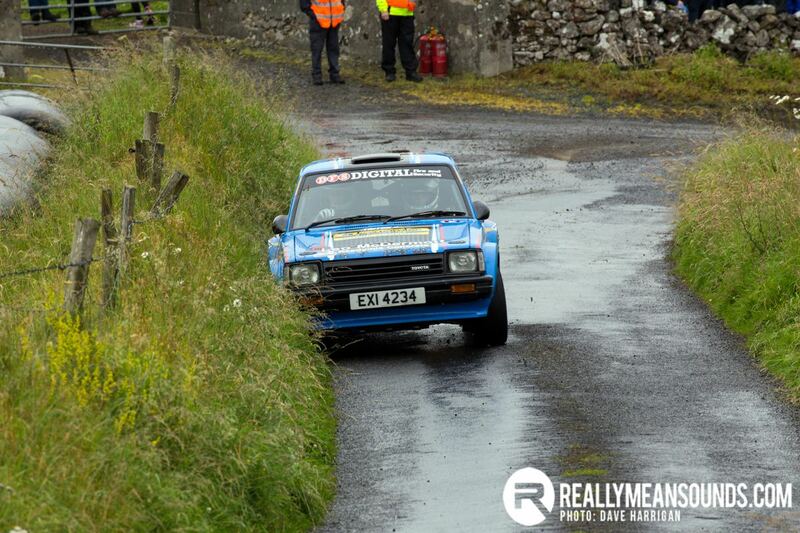 The Modified class saw a battle of attrition as the 2 wheeled brigade struggled for grip on the sodden lanes. 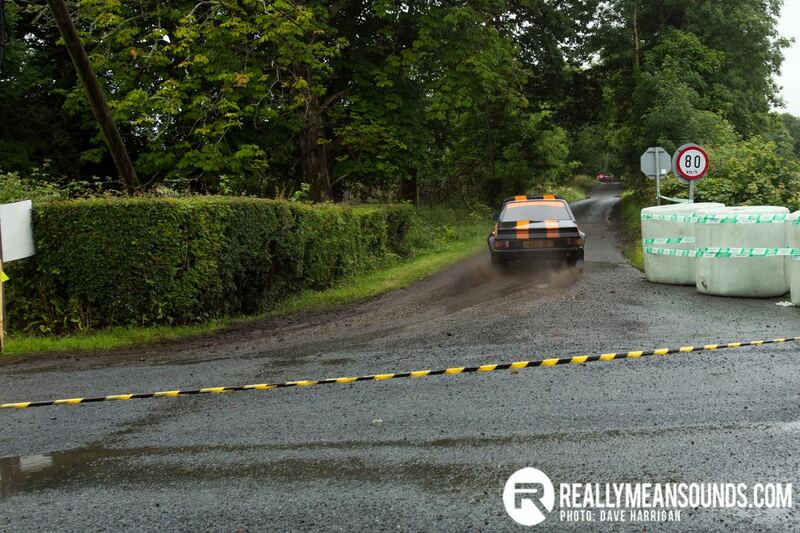 Pre-event favourites Gary Kiernan, Roscommon’s Cormac Phelan and the Escorts of Davy Armstrong, Tom Flaherty, Connor Watters, Tim Enright and Sean Liston all had issues throughout the day in the treacherous conditions but Mickey Conlon and Ciaran McPhillips kept their cool and emerged as the top modified crew after 9 tough stages of rallying. 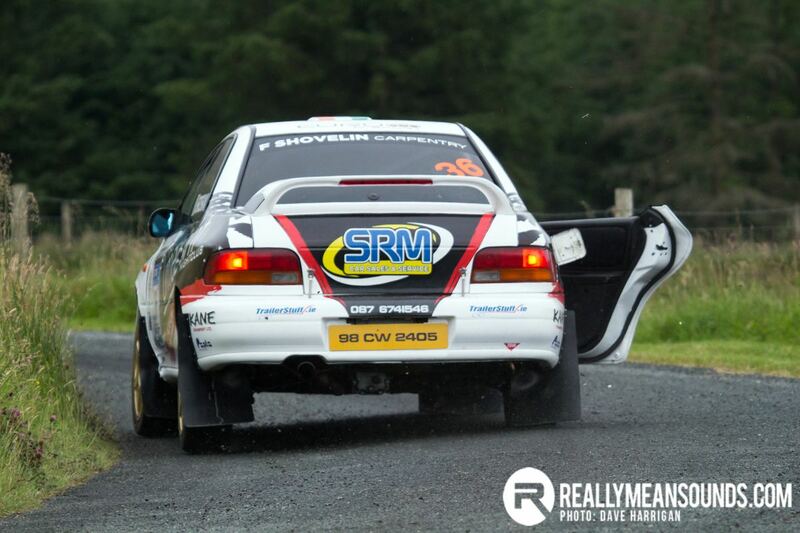 In the Group N battle, Shane Maguire emerged victorious after a tough day of rallying. 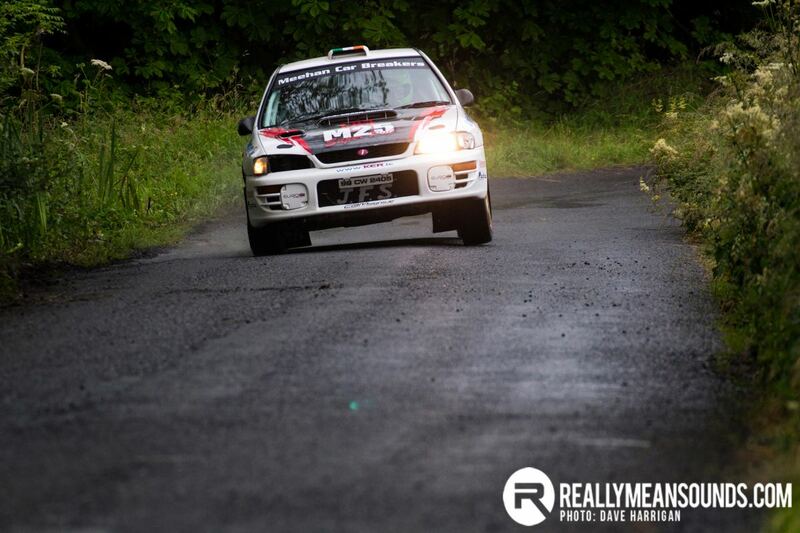 And in the Junior category, Jonny Treanor pushed hard to finish the rally over one minute ahead of his nearest challenger. 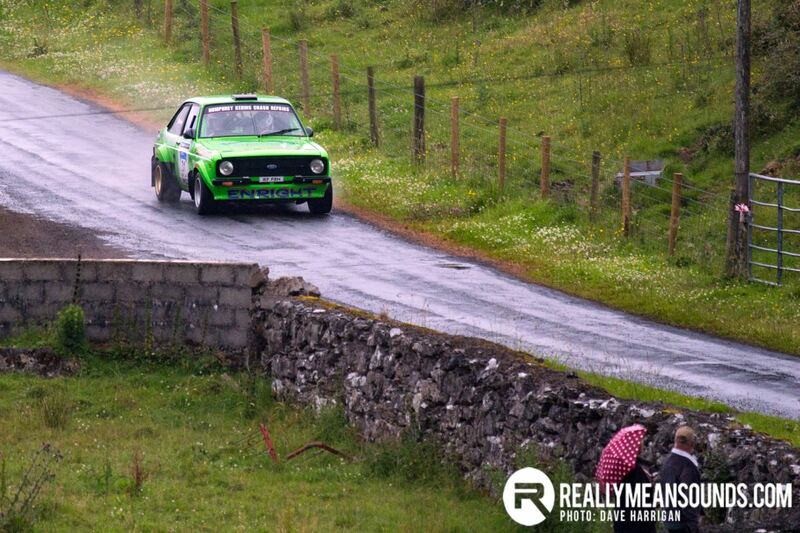 Next up for the National Rally Championship Competitors is the Galway Summer Stages Rally at the end of August… I’m sure most people will be hoping for a drier event.